Shredding documents has become a common practice. It is one of the easiest ways to ensure the private information held on paper files is kept secure. When it comes time to shred, there are a variety of shredding service options that companies can choose from. But if you are an individual looking to shred a small amount of paperwork without investing in a personal shredder, you have options too. Shred events provide a cheap, easy, and secure way to shred a box or two of old files. This guide will teach you how to find local shred events happening in your community. Never risk your private information—there are always ways to shred your paperwork and keep your identity safe. 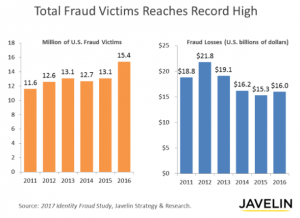 In 2016 there were 15.1 million fraud victims, and as identity theft numbers continue to rise, the reasons to make information security a higher priority also continue to grow. Options range from shredding yourself to using services, but when it comes down to it, people look for the perfect balance between safe, cheap, and convenient—which is where a local shredding event comes in. What is a Shred Event? Shredding events are held in local communities and usually are sponsored by local businesses, charities, and nonprofits. With a process as simple as showing up and dumping your papers in the bin for the rented truck to shred, participants have the convenient chance to get together and protect their communities from fraud and identity theft. Can I Trust Shred Events to Keep My Information Safe? The numbers of identity theft and fraud victims are growing each year. Most people turn to shredding for protection, but at an event, some might worry about another person handling their papers. To directly address those concerns, shredding events offer extra privacy protections. Witnessed shredding is the ability to observe the shredding process. It’s usually associated with mobile shredding services, so when they’re hired for shred events attendees get to watch each step of the shredding. A cross-cut shredder cuts the paper in two directions, giving you smaller paper shreds compared to traditional strip-cut shredders. With the small size of cross-cut shreds, it’s difficult if not impossible for thieves to reassemble your shreds. Shred it events are often held for free to give communities access to protection and education about identity theft. For some events their hosts may ask for donations or a small fee to go towards fundraisers and local causes. When it comes to finding local shred it events in your nearby area, here’s a few tips for finding an event to meet your schedule. To let the maximum number of people attend, most events are held on Saturday mornings and last 2-3 hours. Most events are held in large and public spaces. 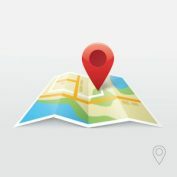 Common locations include church or school parking lots. Shred it events are being held nationwide all the time. To find an upcoming event near you, check out Shred Nations’ event calendar. Need a Cheap and Easy Shredding Option? Get involved with nearby shred it events and find a scheduled event in your local community. To find upcoming events check our Shred Nations event calendar to see if there’s one near you. If there are no shred events in your area, consider hosting one yourself. Shred Nations partners with organizations across the nation to help them host successful and engaging shred events. We can set you up with a shredding truck and help you market the event so you can keep your community safe. Call us at (800) 747-3365 or fill out the form on the right for more information.